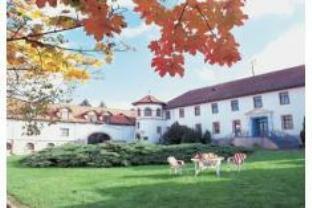 Hotel Fröbelhof Bad Liebenstein, Hotel Germany. Limited Time Offer! FrÃ¶belhof. "FrÃ¶belhof" has obtained 3 stars. The accommodation is situated in Bad Liebenstein. 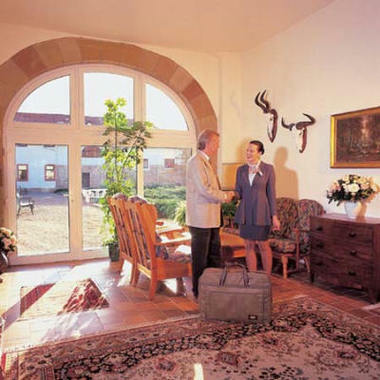 The accommodation has 32 rooms in total. Start your day with some fresh air in the private garden followed by a nice dip in the covered pool. There are several recreational activities available to make your stay a more active one. Participate in horse riding or table tennis, for instance. The facilities also include a gym and a bicycle rental service. There is an onsite spa, wonderful for your well-being. You have the option to sign in for a relaxing massage. Dinner can be served at the onsite restaurant. If you absolutely need to keep an eye on your work, there is Internet access available. 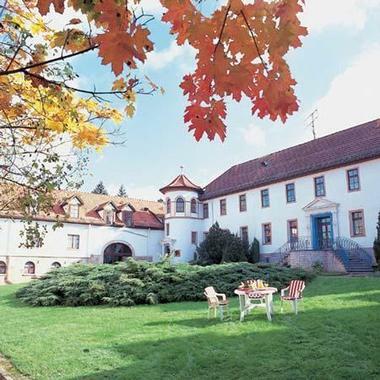 Our 3-star hotel is situated in a peaceful yet central location at the edge of the forest in the old and attractive spa resort of Bad Liebenstein. The building is an ancient historical estate with a beautiful rose garden.